Marcus, Maggie's friend, invited Maggie to the gym to work out. While she was there, Maggie introduced herself to several people she hadn't met yet. She met a lovely couple, Brant and Brent, who work out together. Maggie got along well with them both. She hopes it's the start of a new friendship! Maggie talking to Brent and Brant. Maggie was even further shocked by this kitty's stunning attire! She really wanted to befriend him (her?) but sadly, he ran off before she was able to properly introduce herself. Maggie hopes he stops by again, as she is very intrigued by this cat. Where did all of these cats come from? How did they get in? Where do they belong? Maggie had so many questions flying through her head. What should she do with them all? Recently, Maggie has shown a new mild interest in physical fitness. Going out for a jog is a good way to get exercise in Willow Creek because every day is a beautiful one. She is considering checking out her local gym too. Maybe do some strength training? Maybe meet a new guy? Gordon had better luck with Supriya. Supriya is very smart and loves dogs. Unfortunately, she is married but perhaps he made a new potential friend. Gordon isn't quite as articulate or charming as Salvador. 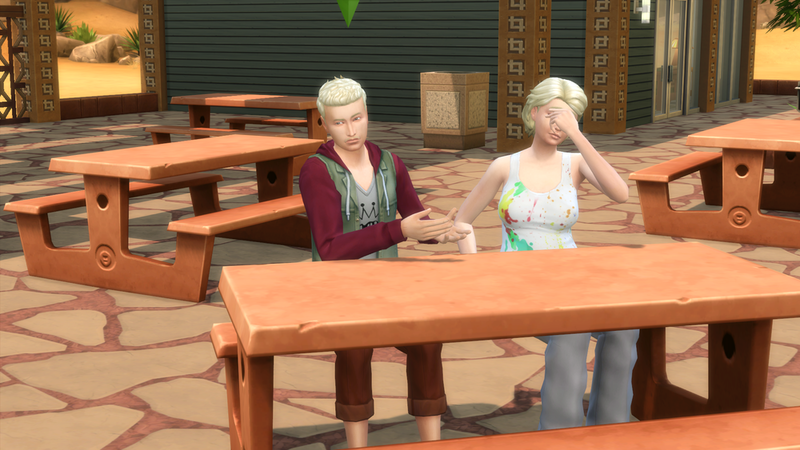 He attempted to start a conversation with a woman he met in the park, Vera, but it didn't really go all that well. 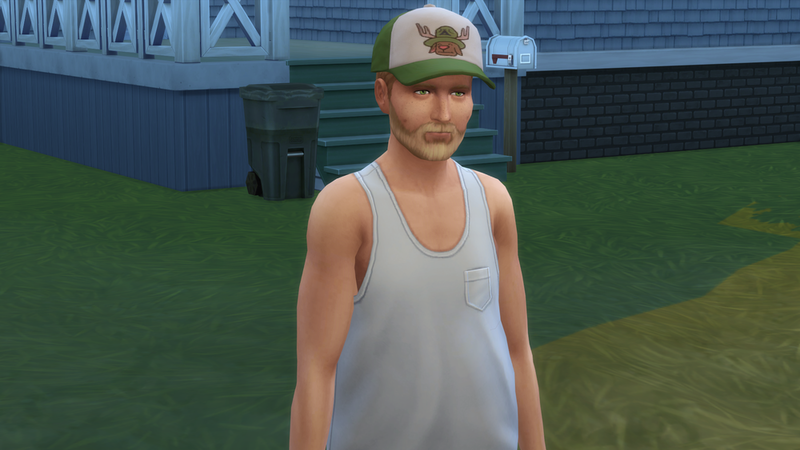 Gordon is on the lookout for any potentially datable Sims. He's a bit of a romantic, and is actively seeking a relationship. Gordon attempts to chat up Vera. Gordon aspires to be a great musician, but he is still at the beginner level. He currently owns a violin and is teaching himself how to play. He recently went to the park hoping the change of scenery would inspire him. Salvador was invited by one of his new friends to an impromptu dance party in the ruins. Not one to turn down dancing, Salvador attended and had a blast! He danced with several different people, and made some new friends! Salv's first party was mostly successful. 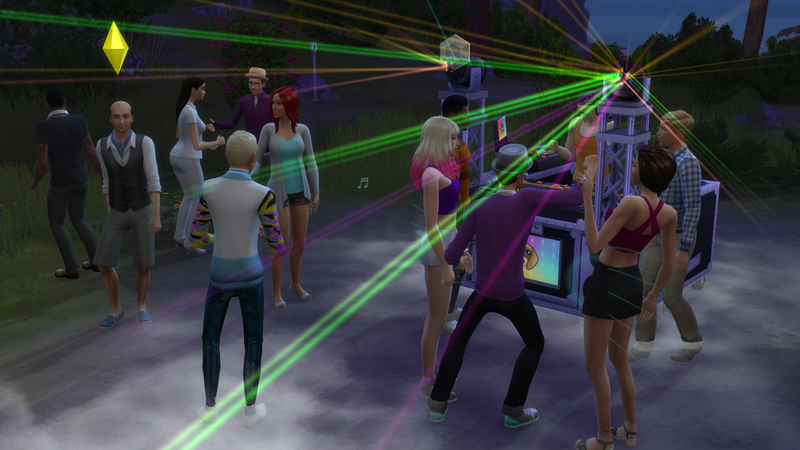 He chatted with everyone, people danced to music, he made some drinks, and some food. 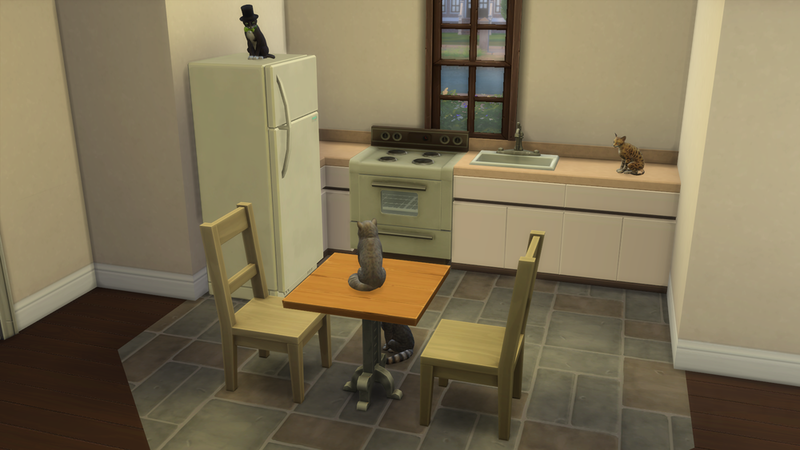 Sims aren't going to be talking about it for years to come, or next week even, but it was still a fun time. Salvador loves hosting parties. One of his motivations for making friends with all his neighbors is so he can have more guests at his parties. He loves all sorts of parties, but dance parties are his favorite. 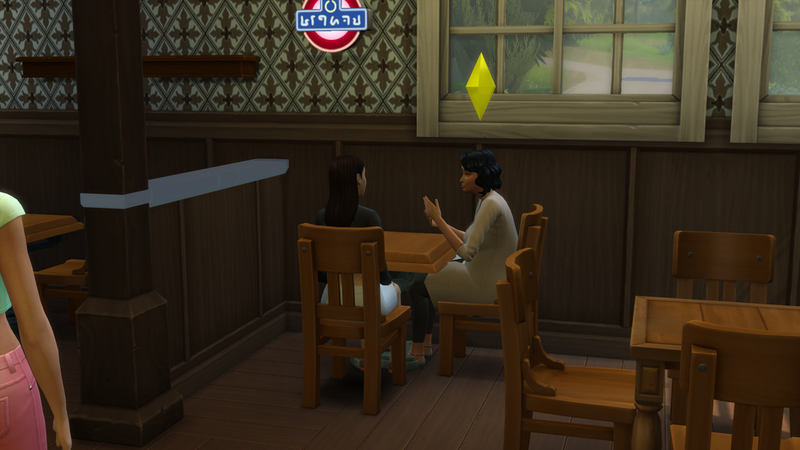 Out of all the people Salvador has met so far, he feels most connected to Sofia. Just like him, she has a cheerful personality and a positive outlook on life. She is also a talented musician, and Salvador adores music. While friend hunting in his neighorhood, Salvador met Aya and Jacques. Both of them seemed a bit...off. But, Salvador didn't seem to mind. He met Aya and Jacques. When Salvador wants to make new friends, he heads outside. He walks around his neighborhood greeting everyone who passes by, and chatting with those who are willing to stop a few moments. In the Gordon & Salvador household, washing laundry is a source of entertainment and a favorite chore. It seems like there is always a cycle going, and they like to stare at it go 'round and 'round. Fortunately, this does lead to a lot of fresh smelling clothing. "All my life is a delicate cycle, a delicate cycle..."
When Maggie is at the pub with the Good Timers, she doesn't just hang out with them. She also hangs out in the regular part of the pub so she can meet new and interesting people. 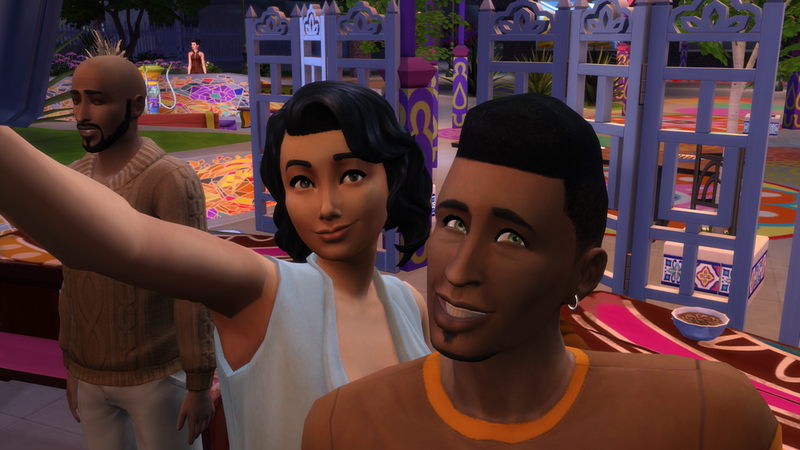 Gordon and Salvador also met Nancy Landgraab, Johnny Zest (who came over to welcome them to the neighborhood) and Federico Blount. Salvador is naturally a bit on the awkward side, and isn't conventionally attractive, so he tries really hard to make people feel good about themselves, and to laugh. Right now, Maggie's best friend is Marcus. Marcus is interested in partying and working out. He's currently unemployed. Marcus has told Maggie about how he has a hard time committing to things- including a career.